Home Insurance What Is 'Full Coverage' Car Insurance? What Is 'Full Coverage' Car Insurance? What is "full coverage" car insurance? When people use that term, they often mean a combination of coverages -- but "full coverage" doesn't actually exist. A car insurance policy offers plenty of options to help protect you and your car. Let's talk about a few. Cause an accident? Auto liability coverage helps pay the other driver's medical expenses or repair bills. Keep in mind that your liability coverage won't pay for your own bills after an accident. Say your car needs repairs after a wreck. 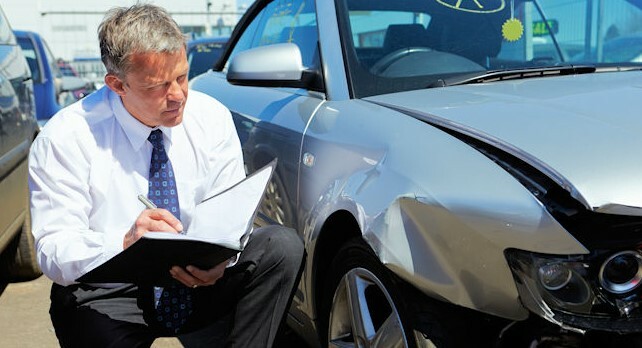 Collision coverage helps pay to repair or replace your vehicle. Or, maybe your car is damaged, but not from a collision. If your car is stolen or if something falls on it, that's where comprehensive coverage comes in. Suppose your car is in the shop after a covered claim. Rental reimbursement coverage helps pay for a rental car while yours is being repaired. What if you or your passengers are injured in a car accident? Medical payments coverage or personal injury protection help pay your medical bills. Uh-oh! An uninsured driver injured you or damaged your vehicle? Uninsured motorist coverage may help with your expenses. These are some of the common car insurance coverages you may want to consider adding to your policy. Remember, each coverage has a limit, and some coverages have a deductible. Ready to start exploring your options? Does car insurance cover repairs?